I’ve been on a quest for the perfect pair of Fall Cycling Pants for quite some time now. Although highly functional, tights can be a bit uncomfortable if you have to spend anytime off the bike; for example, walking around the office after a commute or when getting ready for a lunch time ride. 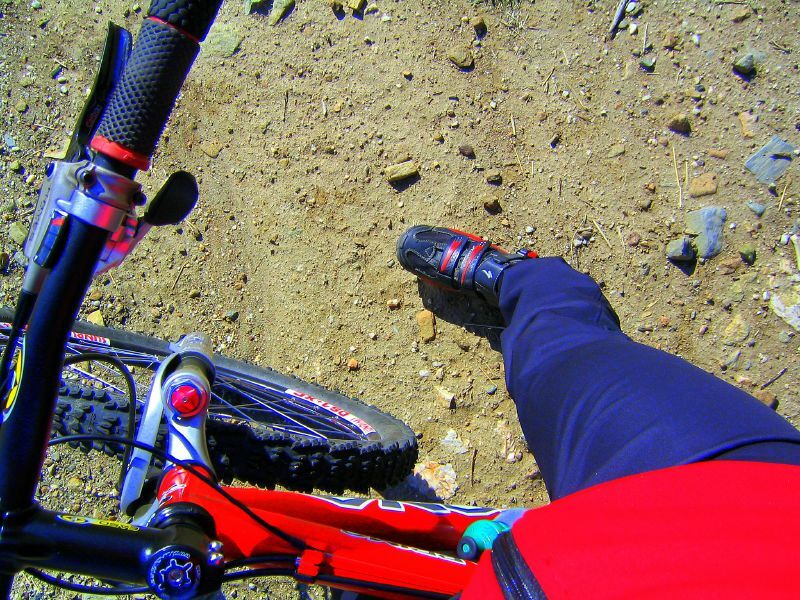 I once tried some wind proof rain pants, but tore out the ankle on the big chain ring after only a couple rides. They just weren’t breathable enough either. Additionally the inside of the pants would be soaked after just a half hour on the bike. 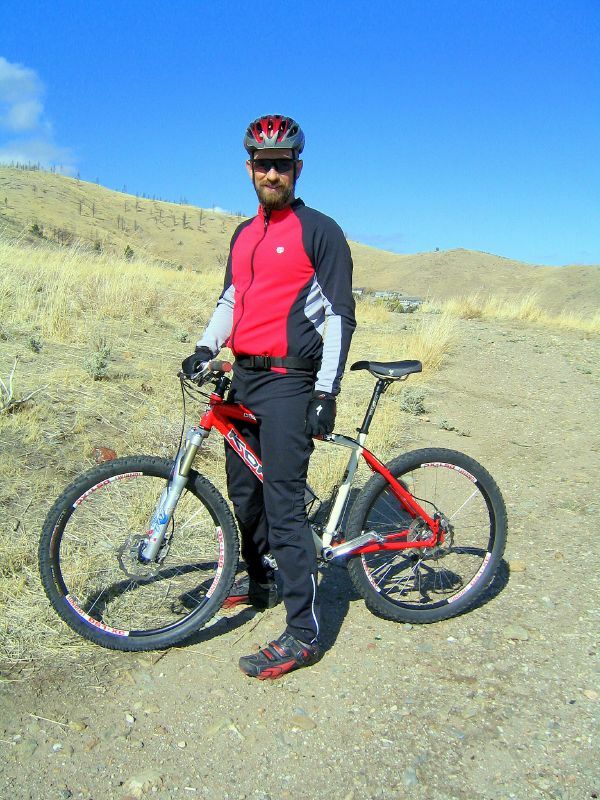 Last weekend I purchased a pair of Novara Headwind Bike Pants from REI. According to REI, “the front of the pants are made from a wind-blocking yet breathable polyester fabric, with a grid texture next to skin to wick away moisture. The backside of the pants are made from a durable, lightweight stretch nylon offering great breathability”. They are a bit looser feeling than tights, but certainly not baggy like a pair of rain pants. The ankles are also zippered for easier off and on. I checked the weather a half hour before today’s ride, and the sky was cloudy. The temperatures were in the low 50’s, so it felt cold enough for pants. By the time I hopped on the bike, the sun had come out, and I was afraid I overdid it with the pants. Oh well…I would turn this into an opportunity to test the pant’s moisture transfer capabilities! There was a pretty good wind chill today, and the wind stopper fabric in the front felt great. I also did quite a bit of climbing, but never felt overheated. You can feel the fabric moving around your leg, as opposed to tights that feel like a second skin; however, I didn’t feel this was uncomfortable or distracting. The fabric at the ankle seems tight enough, and I never had the feeling that the chain ring was going to shred my pants. The wind stopping capabilities were much appreciated on the descent, and kept me comfortable on the coldest part of the ride. Upon returning to the office, I felt comfortable walking in front of my coworkers with the pant’s modest fit. When I removed the pants after the ride, my legs and the inside of the pants were still dry. It looks like the ventilation in the front works quite well! Another point that is worth mentioning, is that these pants do not have a built in chamois. This is favorable to me, because I can get more uses out of the pants between laundering. Most of us have a few pairs of cycling shorts, and it’s easier to just rotate a few pairs of shorts than to wash the pants after every use. After one ride I’m pretty happy with the Headwind Pants, but I’d like to test them in colder conditions…upper 30’s and 40’s. Stay tuned for a follow up! I have a pair similar to that made by Zoic. Much easier to be seen in public wearing those compared to lycra. This made me think of all the clothing products I had accumulated over the years that are collecting dust. I need to bust out some retro-duds and go for a ride! And what happen to all of those great cycling clothing manufacturers like Dirt Designs, Cantina, InMotion, Vulgar Equipment, Deviate and RNH? I still wear their stuff.